Sequence alignment is the procedure of comparing two (pair-wise alignment) or more multiple sequences by searching for a series of individual characters or patterns that are in the same order in the sequences. In global alignment, an attempt is made to align the entire sequence. • If two sequences have approximately the same length and are quite similar, they are suitable for the global alignment. 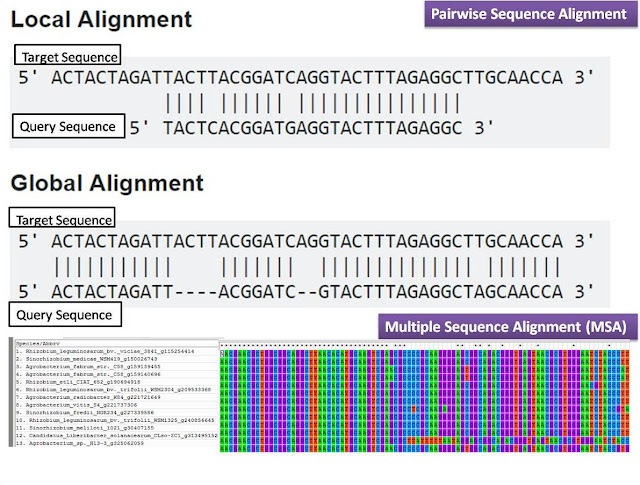 What is the purpose of sequence alignment?